Directions are for the Heritage Area generally. Plug in “4318 Gallatin Street, Hyattsville, MD 20781” for our Heritage Center. 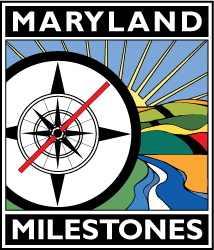 From Annapolis and points east: Travel west on Route 50 to exit 3A, Route 202. Travel 2.29 miles to the Port Towns and the Gateway Towns. Exit 4, Route 410 will take you to Riverdale Park, University Park and Hyattsville via the East/West Highway. Exit 5, the Capital Beltway North (toward College Park), will get you to Greenbelt, Berwyn Heights, and College Park. Take exit 22, the Baltimore Washington Parkway, from the Beltway to access Greenbelt and Laurel. From Baltimore and points north: From Baltimore take the Baltimore Washington Parkway/State Route 295 south. You can use the BW Parkway to access Laurel (Route 198 or 197), Greenbelt, Berwyn Heights and College Park (Route 193), Riverdale Park, University Park, Edmonston or Hyattsville (Route 410) or Bladensburg, Cottage City, Colmar Manor, Mount Rainier, Brentwood, and North Brentwood (Route 450 or 202). Be aware, the BW Parkway is a four lane parkway and can often back up unexpectedly. While it is a pleasant and historic route through the heritage area, check traffic conditions before using. Interstate 95 can be used as an alternative route. From Washington D.C and points south: Travel north on Interstate 95 to the “Beltway” or Interstate 495 around Washington D.C. Travelers can exit at Exit 23 Kenilworth Avenue or Exit 2B (North 295) and proceed north for 11.25 miles. You will have transitioned from Interstate 295 to DC 295 to the Baltimore Washington Parkway. Follow the information above for the relative exits. METRO/WMATA: ATHA Inc. recommends visitors take the Metro to the area – and bring a bike! Prince George’s County DPWT runs TheBUS system. TheBUS 17, or the Route 1 Ride, is a route that travels along U.S. Route 1 and visits many of the sites in the Heritage Area. Consider taking this bus route to visit some of our other locations, such as Hyattsville, Downtown College Park, IKEA, Downtown Mount Rainier, Joe’s Movement Emporium, etc. WMATA Metro Green line to West Hyattsville, Prince George’s Plaza, College Park, or Greenbelt all bring you to the Heritage Area. The Prince George’s – Langley Park Bus Line F8 can connect you to Hyattsville and the Port Towns. This bus will also intersect the Route 17 bus. Route 17 and WMATA bus line 83 (Cherry Hill) will also serve Route 1 from College Park Metro. Greenbelt can be accessed via the G12 into downtown Greenbelt. Look for “Connect-a-Ride” Letter G from College Park Metro or the 89 from Greenbelt to access Laurel. Orange line to Cheverly or Landover with F8 bus connections toward Hyattsville and TheBus 17. The Anacostia Tributary Trails System is the easiest connection from around the region to the Heritage Area sites. Riders can use the Anacostia River Trail from downtown DC (starting at “Yards Park”) all the way to the Heritage Area. This trail system connects West Hyattsville and College Park METRO stops, as well as parking and sites in Riverdale Park (MARC Station), Hyattsville, College Park, Berwyn Heights, and Greenbelt. Bike racks are available at the Waterfront Park which is directly connected to the Trail System. College Park/UMD Metro station has a bike locker system and Capital Bikeshare & mBike (Zagster) stations are currently being rolled out.